Stock # 11417, 3.5L V6 EFI DOHC 24V, 8-Speed Automatic, 9 mi. 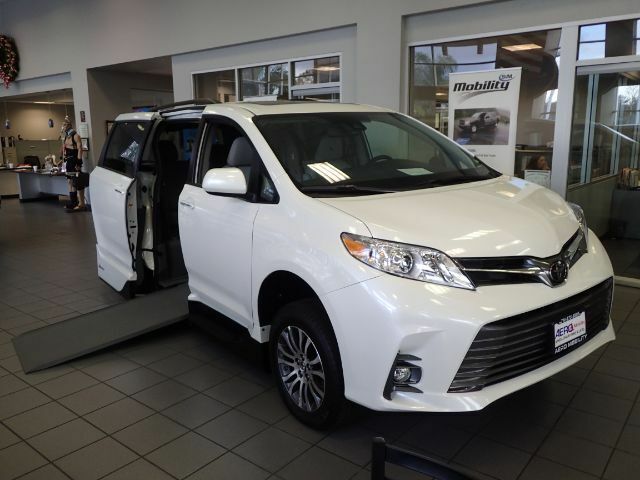 Limitless upgrades on this is a 2018 Toyota Sienna Limited Premium with an automatic, in-floor ramp. Brand new Northstar conversion by Vantage Mobility (VMI). Enjoy park assist, dual moonroof, power liftgate, Bluetooth connectivity, a backup camera, 4.2" touch display, remote keyless entry, and Entune premium sound system.